Each year I try to add in at least one new book to our Christmas book collection. 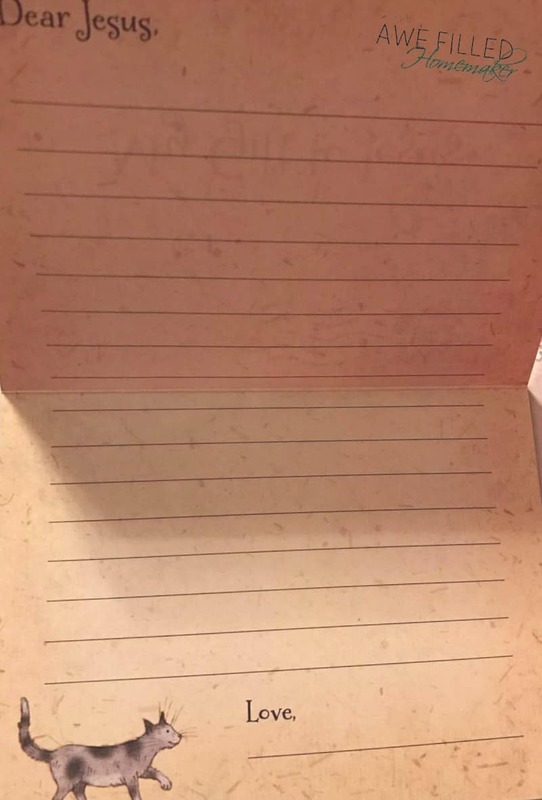 This year I added Christmas Love Letters From God. Also, as I’m sure you all know by now, I have such a deep affection for ADVENT and try hard to make this time of year special for my kids while finding creative, new ways to bring the birth of Christ to the focal point during this time of year. This book has not only taken me through a journey of Advent, but also through Epiphany as well! This book is written by Glenys Nellist and was illustrated by Rachel Clowes. Glenys is an amazing author who has a talent to bring the Bible to life for children. While reading her books, I can truly feel the love that God has not only for my children, but for me as well. She has also written other Love Letters books for children and I have enjoyed each one. 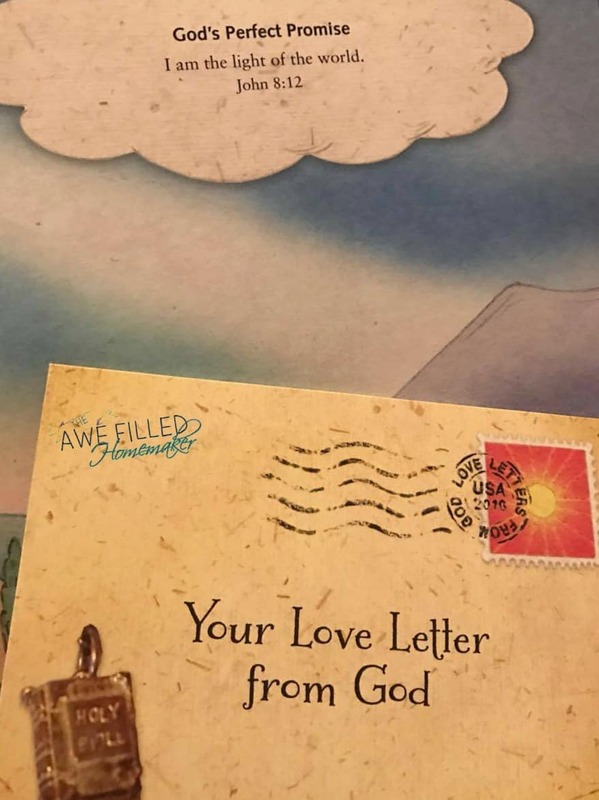 When I heard she was releasing Christmas Love Letters from God, I was excited to get my hands on this one, too! As the story of Jesus’ birth unfolded, I was captivated through the poetry and prose of such a beautiful writing style. Glenys has a talent that puts children right into the middle of the story! 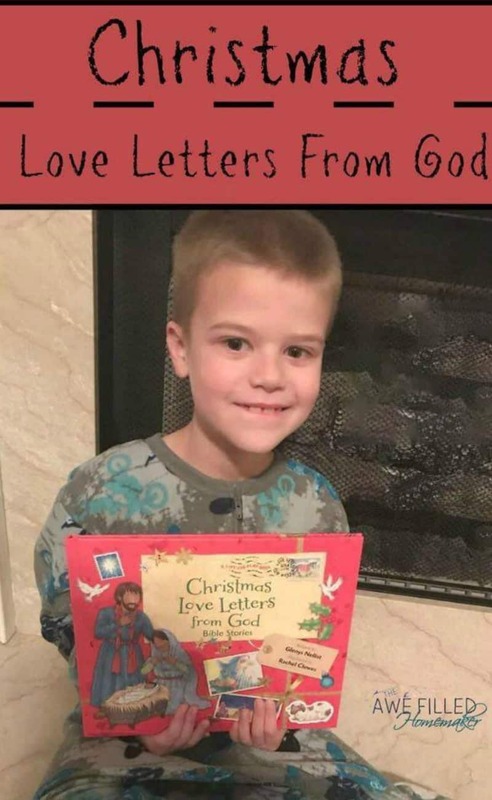 There are seven stories shared in Christmas Love Letters From God beginning at “Isaiah’s Good News” and ending at “Wise Men’s Wonder.” I love how at the end of each one of the stories the author doesn’t just share a familiar story, she includes a personalized “love letter” to your child! Also, I found scripture entitled “God’s Perfect Promise” that went along with each story.The story, letter, and verse shows children love, promise, and hope. After the beautiful story, letter, and verse, my kids get to take action and write a love letter to Jesus! 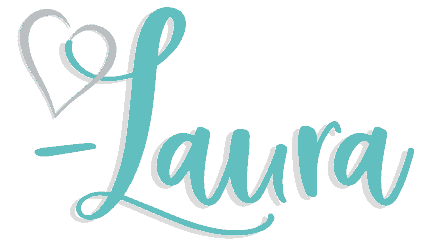 The other day I shared my December “Write Through the Bible” scriptures and also included how to use the Jesus Storybook Bible with your kids for Advent. 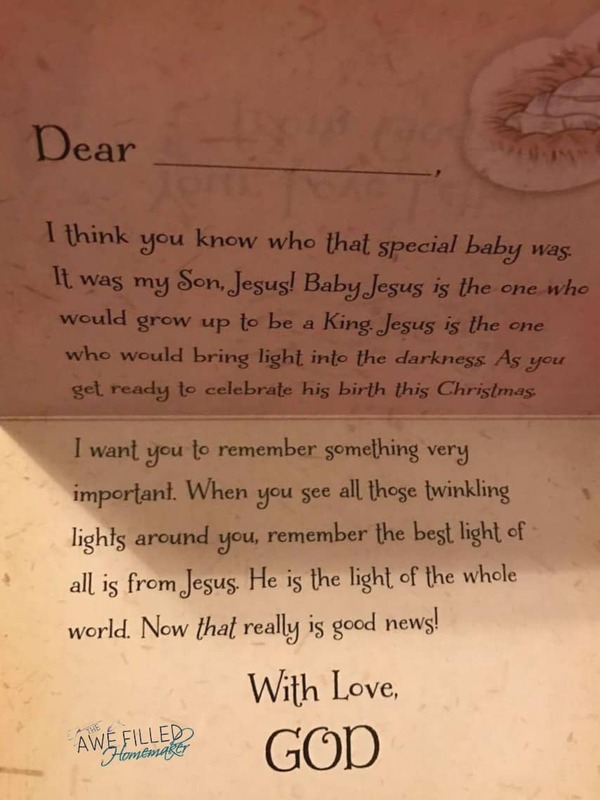 I also realized that you could use Christmas Love Letters From God, for Advent as well. Previous Post: « Advent: Jesus Storybook Bible AND Journal Through The Bible!